I wanted to express my thanks for your wonderful health supplements. 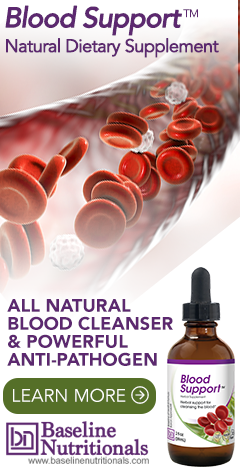 Also to tell of a personal experience in the use of Blood Cleanse. For several years I had a reoccurring painful cyst on my back. I did not want an MD or surgeon cutting around on my body as I had a really bad experience of that years ago. I ordered the Blood Support™ and started taking it--also was taking pHi-Zymes. Within 3 weeks of this routine, that monster cyst pushed up into a big mound, erupted and shed some really foul material. Then it started shrinking and was no longer sensitive. Now I have a tiny half moon scar but no longer have any sign of that monster cyst. Please express my sincere thanks to Jon Barron. I have painful stiff knees and am preparing to give Jon's Triple Jointed a trial now. My name is Penny, and I was diagnosed with Stage III Ovarian Cancer in September of 2008. I had surgery done at Johns Hopkins Hospital in Baltimore on September 15th. Since I am a Canadian citizen I went back to Canada to get my treatments. Needless to say I was completely shocked to find out the only treatment offered in Canada is full dose chemotherapy - and that means chemotherapy with NO testing to find out which chemo drugs are appropriate for your particular cancer and no testing to find out how you react to that toxic treatment. So I began my search to find an alternative treatment that was effective in killing the cancer cells but not killing me in the process. I am now in Scottsdale, AZ taking treatment known as IPT - which is a targeted low dose chemo treatment that works to build your immune system while targeting and killing the cancer. They use tumor markers to find out how much cancer is in your system. Two weeks ago I found Baseline products and started taking the Blood Support™, Immunify, Metal Magic, and Colon Corrective. My tumor marker has dropped 11 points or 40%. It went from 38 two weeks ago to 27 today. The average range for normal is 30-65 so I am now officially below normal. Of course I need to stay on target with my treatments but I can tell you for sure that I will be continuing the Baseline Nutritionals products as well. I am telling everyone about your products. Thanks so much for the boost of confidence and hope. Wow. Your Blood Support formula is amazing. I used it basically as a stand-alone treatment for 25 days. I fasted for four of those days (not consecutive), and on those days only had water and the tincture. My PSA dropped 15% over that time period! That is a miracle. I have used much more expensive treatments that were far less effective. This is a very potent product.